Hearing is a very complex mechanism. Sound waves enter your ear canal where they cause the tympanic membrane (eardrum) to vibrate. 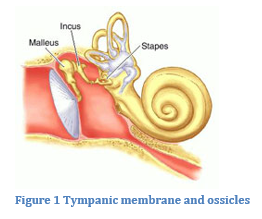 The sound energy then gets transmitted through three small middle ear bones (ossicles) to the inner ear organ, called the cochlea, shown below as the snail shaped structure. Lastly, the sound travels along the auditory nerve to your brain, where it is perceived as a noise. If you have a problem with any structure in the ear before the cochlea, you will have a conductive hearing loss. Otosclerosis is a common cause of conductive hearing loss. It is an inherited disorder that is twice as common in women. It causes excessive stiffening of the stapes bone, the smallest bone in our body. When movement of the stapes bone is impeded (by extra calcification in otosclerosis), a conductive hearing loss occurs. Otosclerosis usually presents as a gradual onset of progressive hearing loss in one or both ears. Few types of hearing loss can be surgically corrected as well as otosclerosis. A surgical procedure, known as laser stapedotomy, can usually correct most of the hearing loss related to otosclerosis. Generally, the operation is curative for this condition. If a patient is not a candidate for the surgery, or does not want to have surgery performed, wearing a hearing aid is also an option. Stapedotomy is an operation to remove (actually bypass) the stapes bone, replacing it with a prosthesis. The middle ear cavity, enclosed on the outside by the tympanic membrane and the inside by the bony wall of the inner ear, houses the sound conduction mechanism called the ossicular chain. These three previously mentioned ossicles are suspended from the middle ear cavity by ligaments and muscles. The Latin names of these three little bones are the malleus (hammer), incus (anvil), and stapes (stirrup). It is interesting to note that the translations of the Latin names of these bones hint at their combined function in transferring sound vibrations received at the eardrum to the inner ear. The bottom of the stapes, called the footplate region, makes direct contact with the inner ear, and it is at this point that otosclerosis interferes with the transmission of sound. In otosclerosis, there is an overgrowth of bone around the footplate, causing the stapes bone to be fixed and unable to vibrate. Stapedotomy is performed to bypass the immobile stapes with an artificial piston prosthesis. A very small hole (< 0.8 mm) is created with the laser in the footplate to allow for placement of the prosthesis. If you have otosclerosis in both ears, only one ear will be operated on at a time, starting with the poorer one. The second ear, if affected, can have the surgery performed a minimum of one year later, if desired. Often, both ears are affected by otosclerosis, although not necessarily to the same degree or at the same time. 2 WEEKS BEFORE SURGERY: Non-steroidal anti-inflammatory drugs (NSAID’s) should be strictly avoided for 2 weeks prior to surgery. Medications in this family include: aspirin, ibuprofen, Advil, Motrin, Alleve, and naproxen plus others. These medicines may increase the risk of bleeding. Also, discontinue all homeopathic or alternative medicines such as gingko biloba or ginseng. These too, may increase bleeding. NIGHT BEFORE SURGERY: No solid foods (that includes milk, cream, etc.) for 8 hours prior to surgery. Typically this means no solid foods after midnight before the surgery. Small volumes of clear liquids may be taken up to 4 hours prior to surgery. This includes water, tea, Gatorade and coffee (with NO milk or cream). 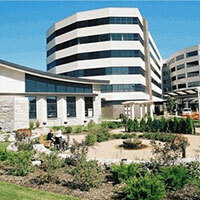 HOSPITAL STAY: Stapedotomy is usually done as an outpatient and does not require an overnight hospital stay. On occasion, a patient may need to stay overnight. Check with your insurance company to see if this hospitalization is covered by your policy. A decision to admit overnight may be made after surgery if necessary. LAB WORK: If lab work is needed, it is done prior to surgery. If surgery is done as an out-patient, labs may be obtained just after the preoperative examination. Your insurance carrier may dictate the lab where the blood is drawn. The indications and risks of surgery must be understood prior to proceeding with your surgery. The alternative to this surgery is no surgery at all, which would leave your ear in its current condition. Another option is to wear a hearing aid. This type of ear surgery has very few serious risks. Complications from stapedotomy are infrequent and typically related to the presence of uncommon variations in anatomy. Usually the surgical procedure is performed without difficulty, with a high rate of success. Post-operative infection is also rare. If this was to occur you could lose the hearing in the operated ear. Once healed, it is unlikely that a middle ear infection would harm you. Hearing loss: rhe incidence of total hearing loss reported is about one in 200 cases. Generally 90% of patients find a significant improvement in their hearing after surgery. 5 to 10% of patients may not experience an improvement in their hearing or a reduction in their hearing. If your hearing is not significantly improved after the surgery, a hearing aid can be obtained. There is also a 1% chance over the years that delayed deafness can occur. This would most commonly occur with a significant barometric pressure change such as on a plane flight or scuba diving. Dizziness: it is not uncommon to experience dizziness or vertigo for hours or days after the surgery. Extremely rarely the dizziness would not resolve. Eardrum perforation: there is a small chance your eardrum may develop a hole during surgery. Repair of this would be attempted at the surgery however if it persists a second surgery might be necessary. Tinnitus: tinnitus that was present before the surgery commonly persists, although following surgery it may disappear. In rare instances it could be worse. Facial nerve paralysis: injury to the facial nerve is extremely rare in stapedotomy. If this was to occur your face would droop, be weak or be paralyzed. Taste change: a nerve called the chorda tympani nerve runs directly in the middle of the operative site, overlying the bones that are surgically manipulated. This nerve controls the taste function of the front 2/3 of the tongue on the side of the surgery. If this nerve is either intentionally divided (which is occasionally necessary) or stretched, you may experience a metallic taste for several months following surgery. Unless you rely on your taste buds for your profession (such as a sommelier does), one-sided loss won’t likely have any permanent noticeable alteration of taste or flavor. Loss of this nerve function on both sides however, may leave a noticeable reduction in taste/flavor. Laser fire: there is a very remote risk of fire when using any laser in surgery. Precautions are taken to avoid this problem. ACTIVITY: Very light activity for 2-3 weeks is recommended after your ear surgery. No excessive bending, stooping, straining, or lifting more than 15 pounds during this time. Please avoid aggressive blowing of your nose for one month after surgery. If your job entails a lot of bending or heavy lifting, please notify us prior to your surgery. DIET: You can eat a diet as you tolerate after your ear surgery. MEDICINES: You will be prescribed pain medicines and possibly oral antibiotics and/or eardrops. Take these as directed. You may also be prescribed school softeners. Take these as directed. Avoid heavy straining with bowel movements for several weeks. BATHING: Generally, you may shower 24 hours after surgery. We do request you keep the ear dry for 2-3 weeks after surgery or until instructed otherwise. It is best to avoid airplane flight for a minimum of six weeks, ideally three months after surgery. If you are an airline pilot, sky jumper or scuba diver, please be sure to alert your physician. 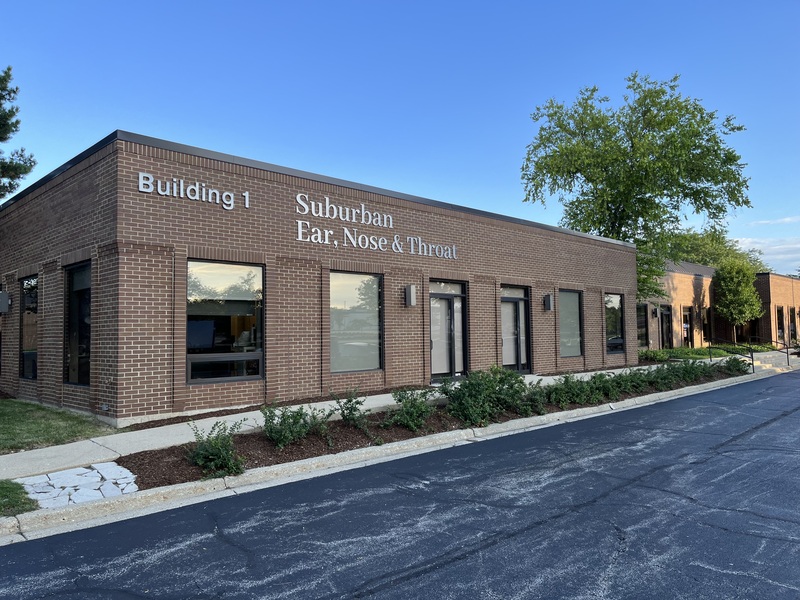 Post-operative follow-up: you will be asked to return to our office 7 to 10 days after surgery. There will also be several visits over the next 4 to 6 weeks. If first post-operative visit has not already been scheduled, please call our office to make that appointment.